Austin is a unique city that offers more than just a beautiful place to call home, it is a fun city surrounded by beautiful lakes and rivers and is home to many great employers and great universities. Lake Travis covers almost 19,000 acres allowing a beautiful scene to sail, ski or just soak in the surrounding hill country setting. Lake Austin covers almost 1,600 acres and runs through Austin and into the Colorado River. You can go to Barton Springs and dive into a natural spring which has a constant temperature of 68 degrees and covers 358 acres. Austin is a very active city offering many events for runners, bikers and tri-athletes. The Capital 10K, Turkey Trot, Danskins, and many other events are held annually in our home town. Music Capital of the World? On any given night you can find a great mix of music venues happening in and around our town. 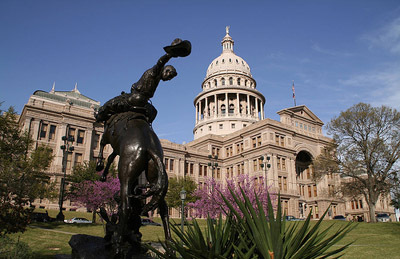 Austin is home to Austin City Limits Music Festival and South by Southwest Music and Film Festival.